Pamela Dorman Books, 9780670025831, 354pp. A Southern novel of family and antiques from the bestselling author of the beloved "Saving CeeCee Honeycutt"
Beth Hoffman's bestselling debut, "Saving CeeCee Honeycutt," won admirers and acclaim with its heartwarming story and cast of unforgettable characters. Now her unique flair for evocative settings and richly drawn Southern personalities shines in her compelling new novel, "Looking for Me." Teddi Overman found her life's passion for furniture in a broken-down chair left on the side of the road in rural Kentucky. She learns to turn other people's castoffs into beautifully restored antiques, and eventually finds a way to open her own shop in Charleston. There, Teddi builds a life for herself as unexpected and quirky as the customers who visit her shop. Though Teddi is surrounded by remarkable friends and finds love in the most surprising way, nothing can alleviate the haunting uncertainty she's felt in the years since her brother Josh's mysterious disappearance. When signs emerge that Josh might still be alive, Teddi is drawn home to Kentucky. It's a journey that could help her come to terms with her shattered family and to find herself at last. But first she must decide what to let go of and what to keep. "Looking for Me" brilliantly melds together themes of family, hope, loss, and a mature once-in-a-lifetime kind of love. The result is a tremendously moving story that is destined to make bestselling author Beth Hoffman a novelist to whom readers will return again and again as they have with Adriana Trigiani, Fannie Flagg, and Joshilyn Jackson. 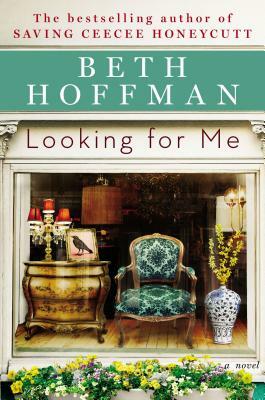 Beth Hoffman was the president and co-owner of an interior design studio in Cincinnati before becoming a full-time writer. "Looking for Me" is her second novel. Her debut, "Saving CeeCee Honeycutt," was a New York Times bestseller in hardcover and paperback. She lives with her husband and two cats in northern Kentucky. "Hoffman's novel of a woman putting the pieces of her family's secrets together combines a deep dramatic impact with Southern charm." "Hoffman has a good ear for dialogue, and Teddie and her friends are realistic, appealing characters. Perfect for fans of family-centered women’s fiction, this book will have special appeal to readers interested in antiques and 'shabby chic' style."